2018 was a busy year for CHI, involving many partnerships with various housing partners throughout the world. 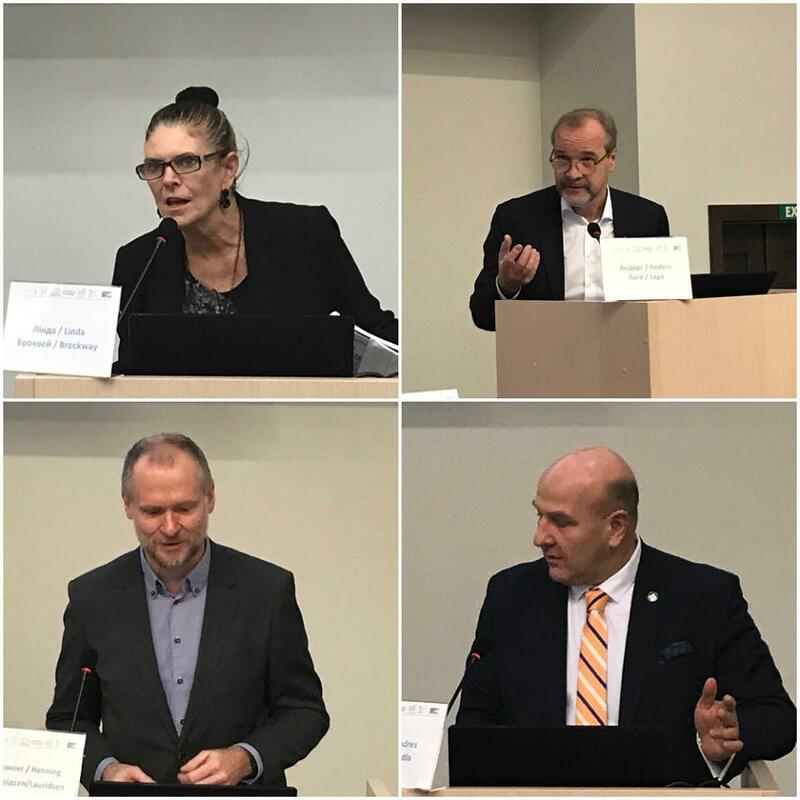 The first collaboration was in June with Housing Europe where we held our spring board meeting in conjunction with their General Assembly and Conference in Tallinn, Estonia. The theme of Livability and Affordability in Digitized Cities showed us the impacts technology is having on housing and urban environments. CHI signed a joint statement with Housing Europe committing both organisations to work with all levels of government to improve housing affordability by looking at cooperative and other forms of housing solutions. 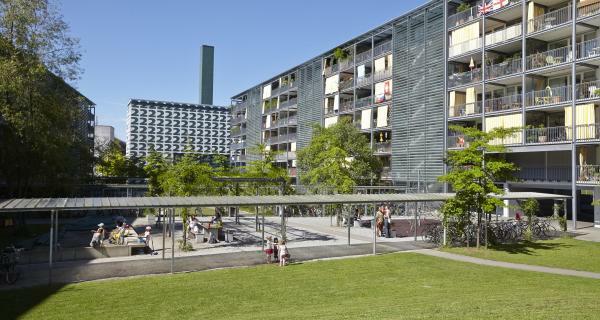 Co-Habitat Network, a global network promoting community-led housing solutions, met in Geneva in June for a series of peer exchanges, planning sessions, and a public roundtable hosted by the city of Geneva. We invite you to visit Co-Habitat’s digital platform to see how people all over the world are developing community-led homes. The platform is a “Wikipedia” of collective housing initiatives where groups can share legal, financial and organisational information to help inform and inspire others wanting to develop something similar in their own community. In early October, over 500 affordable-housing professionals and activists gathered in Pittsburgh, Pennsylvania for Grounded Solutions Network‘s 2018 Intersections conference. The conference also served as the North American Hub of the Co-Habitat Network. Participants representing community land trusts (CLTs), housing cooperatives and international organisations came from Canada, UK, Senegal, Brazil and Puerto Rico to attend the largest gathering of CLTs in the world. Thanks to sponsorship from the Co-operative Housing Federation of British Columbia, VanCity and the Confédération Québécoise des Coopératives d’habitations, over fourteen participants from across Canada were able to learn from and be inspired by their American and international counterparts. From the roots of the CLT movement in Georgia, USA to community organising in the favelas of Rio de Janeiro, participants are bringing new ideas back home to counteract the effects of housing affordability by creating more community-led housing and lobbying policymakers for better housing legislation. Later in October CHI travelled to Buenos Aires, Argentina where its board meeting coincided with ICA’s General Assembly and the fifth Summit of the Americas. We heard about the challenges our colleagues from Poland, Israel, and Argentina are facing. Poland continues to deal with a government creating roadblocks for housing cooperatives and Israel faces similar hurdles to developing housing cooperatives without the benefit of established legislation or coordinated housing networks. Argentina is dealing with hyperinflation and the legacy of bad government. The board meeting was followed by a day of panel discussions where CHI members from Sweden, Chile, Canada, and Uruguay, presented their respective country’s housing cooperative model. If you missed the live stream of any of our last three board meetings and wish to watch please visit our Facebook page and scroll down to the video section. In November, the Housing Initiative for Eastern Europe (IWO), an NGO bringing together private and public partners from Germany and abroad, held a symposium themed “Housing Cooperatives as a Model for Creating Affordable and Adequate Housing in Ukraine.” The event’s partner and co-organiser State Fund for Support of Youth Housing Construction welcomed over 20 speakers from more than ten countries and international organisations who delivered a roadmap of suggestions for future housing policies. The various presentations can be found here. Just under 100 Ukrainian participants from ten different regions, representing housing cooperatives, housing interest groups / NGO’s, associations and municipalities, different ministries and the Ukrainian parliament, took part. The goal is to usher in the cooperative model in Ukraine as it promises to bring significant improvements in achieving better living conditions for Ukrainian people and bring diversification to the housing market in the country. The first day was an overview of housing cooperatives from different countries (see press release) as well as the current approach and practice in Ukraine. On the second day, the future of the housing cooperative model in Ukraine was discussed during a roundtable. The discussion, with around 50 participants, was led by Svitlana Startseva, Head of Housing Policy in the Ministry of Regional Development. Following the roundtable, a Joint Statement was signed and handed to the Ministry of Regional Development, Construction, and Housing and Communal Services of Ukraine and sent to the Prime Minister of Ukraine. The State Fund for Support of Youth Housing Construction and IWO signed a Memorandum on partnership and cooperation with the aim to continue the work and discourse initiated by the conference. It lays the basis for future activities, events, joint research and the initiation and implementation of projects, which the IWO would be pleased to implement with interested partners. We hope this joint conference marks the beginning of long-term cooperation and action for promoting cooperative models in Ukraine. 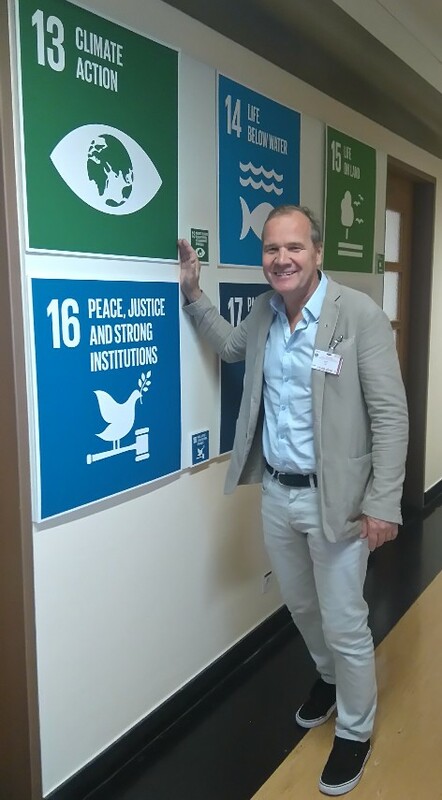 The Sustainable Development Goals provide a common framework agreed upon by the entire international community, within the framework of the UN, and therefore shared by nation-states, international, regional and civil society organisations. It is a common language and a common standard which everybody can refer to. 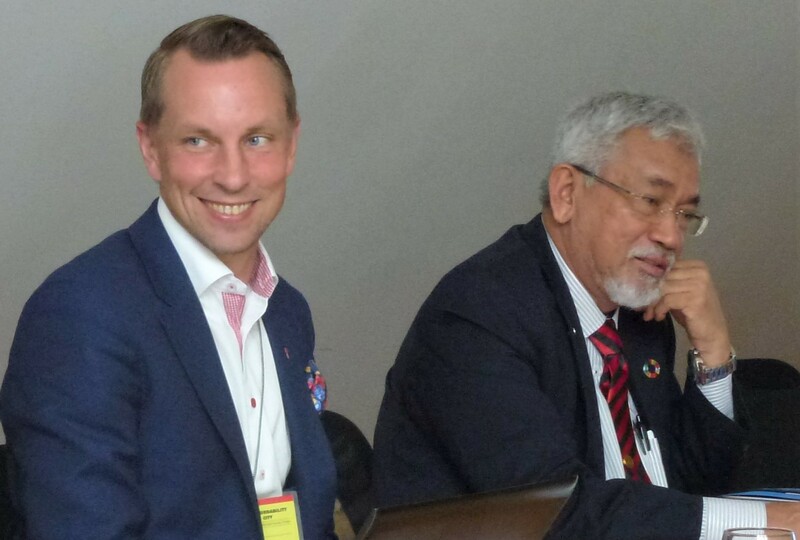 Cooperatives are one of the main actors involved in the goals proposed by the 2030 Agenda because these goals are inscribed in their DNA through the cooperative principles and values. However, the cooperative movement’s voice is not sufficiently heard in the SDG field. 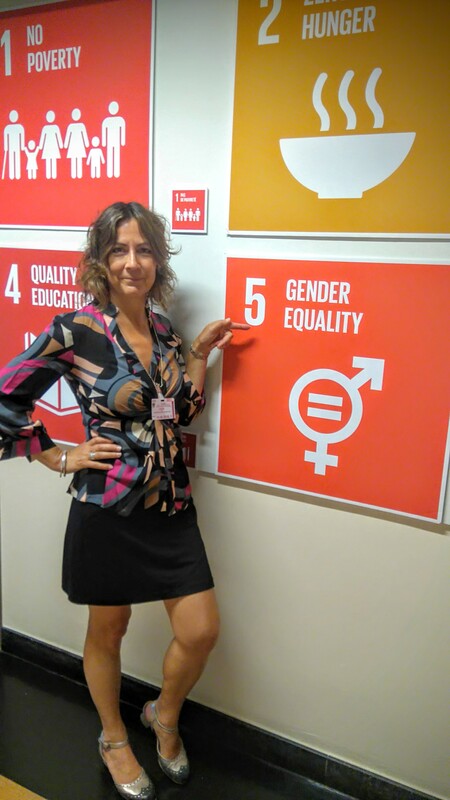 At the same time, the SDGs are not just a wish list. The UN has established several hundred indicators, which will make it possible to know whether and to what extent the SDGs are being met. Commit to making a pledge on the Co-ops for 2030 website and be inspired by existing pledges. Develop a sustainability reporting initiative (and use this guidebook to help you get started). Download this model environmental sustainability policy and encourage your housing cooperative to adopt it. Survey your member co-ops and share their good practices. The Agency for Co-operative Housing in Canada surveyed co-ops in Canada to learn more about their sustainability practices and here is what they found out. Kickstart sustainability initiatives in housing cooperatives with a microgrant program like this Greener Co-op Microgrant. Visit Housing Europe’s Zero Energy Challenge initiatives and funding opportunities. 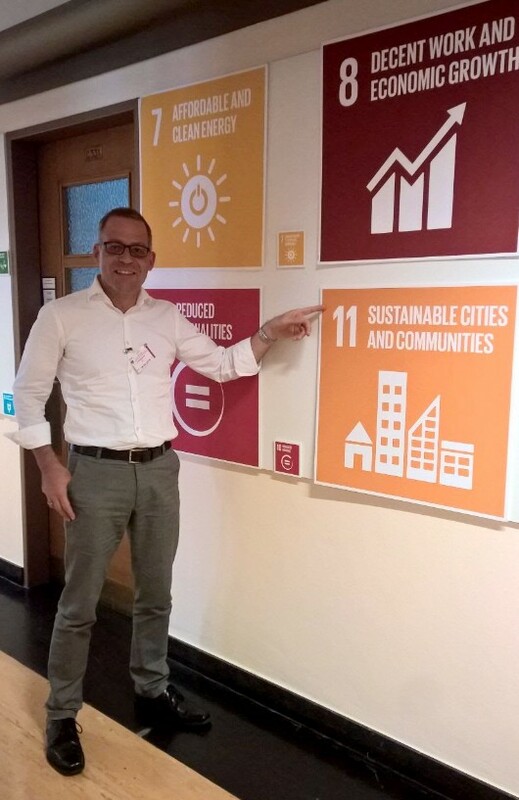 Let CHI know how your housing cooperative is achieving the SDGs so that we can share your accomplishments. We would like to welcome the Union of Housing Cooperatives in Palestine (PUHC) as a full member of CHI. PUHC seeks to support the collective efforts of individuals and/or groups from the middle to low-income strata to obtain decent housing. The Federation aspires to contribute to guaranteeing the right of Palestinians to live decently and to strengthen the ability of Palestinians to maintain their land by enabling them to build on all Palestinian territories. PUHC has a project with We Effect to create suitable housing for low-income people. Did you know that, as a member of the International Cooperative Alliance (ICA), you can participate in Cooperative Housing International (CHI) for no additional fee? Alternatively, you can designate one of your members to participate in CHI on your behalf. Cooperative Housing International promotes, encourages and helps in the establishment of housing cooperatives in transitional economies, and in developing and developed countries. It strengthens and encourages good governance principles and fosters an inclusive cooperative culture. CHI holds education and training events for the sharing of best practices in cooperative housing and encourages partnership initiatives among its members and with other cooperatives to access financial capital and technical assistance. Members elect and are eligible for board of director and committee positions who in turn help to define CHI’s priorities. CHI’s leadership also helps to develop a framework which will lead to the growth of cooperative housing solutions. By using the capacity of the ICA, CHI can increase the influence of housing cooperatives at the global, regional and sectoral levels. Housing cooperatives are more important now than ever and it is by thinking and acting collectively that we can demonstrate the power of the cooperative movement. Involvement in CHI makes the housing sector stronger and more effective. Visit our website for more details. Five board positions are up for election in October. Terms are either two-year or four-year terms and the board meets in person twice a year. Please contact our Program Director, Julie LaPalme for more information. 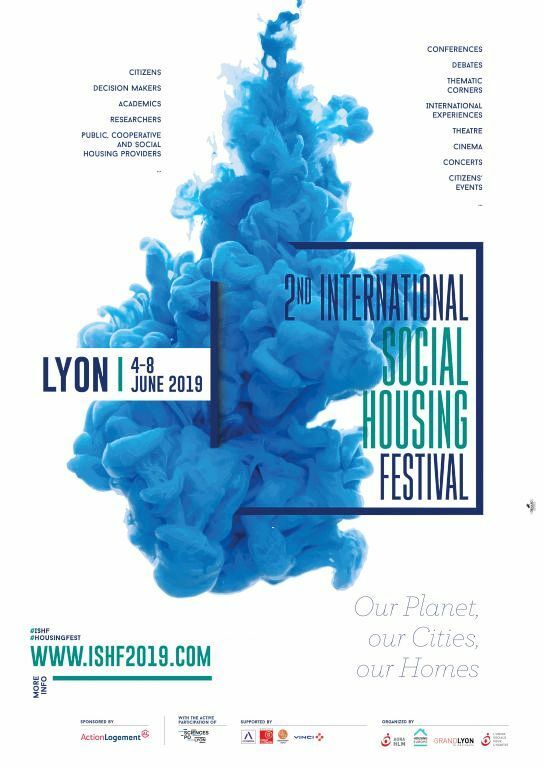 We hope to see you at the biggest housing event of the year this summer in Lyon, France where thousands of people will attend four days of activities celebrating the diversity of social housing. Topics like the unaffordability of housing, the increasing popularity of community-led housing solutions, the right to the city and citizens as active agents of their urban space, sustainability will be discussed, celebrated, debated and adopted! CHI will invite members to describe examples of innovative development that involve partnerships (public-private, lenders, private sector developers) and share these in a panel discussion titled “Innovative Development Involving Partnerships.” The European Co-Habitat Hub will also be held during the festival. This year we plan to hold two one-hour webinars. Topics are ”What is cooperative housing?”, and “How to start a housing cooperative.” Dates will be announced shortly. The seminar theme is “Cooperative Housing Development in Africa -What Works and What Doesn’t Work.” We will share stories on what worked and what didn’t. We will also explore how we can create connections and networks to support regional development. This event will be presented at the ICA Congress in October. Details to follow. As the era of the Cooperative Blueprint for a Cooperative Decade comes to a close we will work on identifying priorities for the next decade. These will no doubt focus on the Sustainability Development Goals so stay tuned for upcoming priorities. We are on Facebook, LinkedIn, and Twitter! Follow us and stay up to date on the latest cooperative housing news from around the globe!